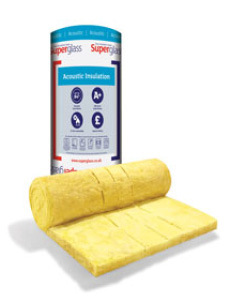 Superglass Multi Purpose Acoustic Slab is a lightweight, non-combustible glass mineral wool insulation slab. The slab supplied is 600mm wide to allow easy installation between common stud spacings and minimum on-site cutting and waste. Manufactured at a nominal density of 20kg/m³. • Timber and metal stud partitions. • Internal separating walls and floors. 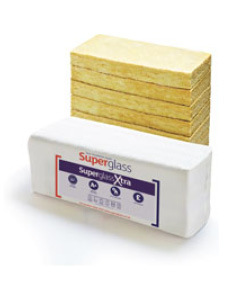 – Provides excellent thermal performance with a thermal conductivity of 0.035W/mK. – Ideal for 600mm stud centres. Manufactured at a nominal density of 20kg/m3.